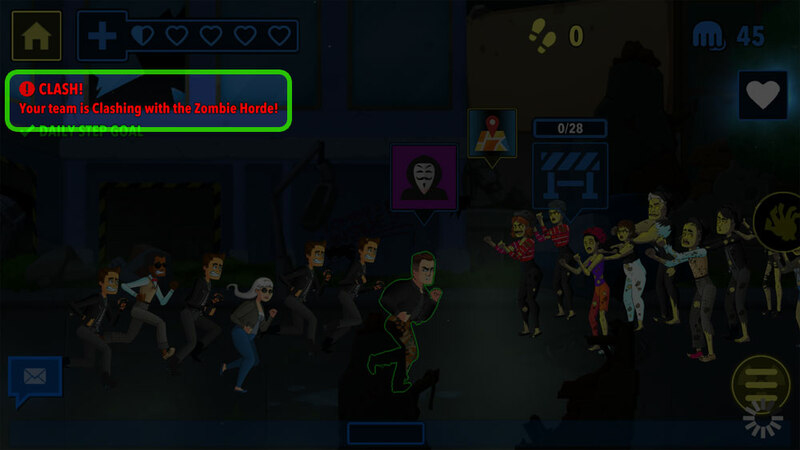 If your team comes into contact with zombies, the quest tracker on the gameboard will display an alert, letting you know that you’re in contact with zombies and need to escape. 1) Your team can be caught by the zombie horde chasing you from behind. 2) Your team can run into a pocket of zombies (obstacle) ahead. If your team is in danger of being caught by the zombie horde, all members of your team will receive a push notification alerting you to your danger state. If your team fails to escape before the zombie horde catches you, you’ll receive a second notification letting you know that your team has been caught. Similarly, if your team runs into a pack of zombies from the front, your team will receive a push notification alerting you to your contact. Whether it’s the zombie horde or a pocket of zombies, your character takes damage when you’re in contact with zombies, so act quickly when you do find yourself in contact! I just synced, when will my activity appear?